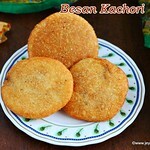 Besan Kachori recipe, with step by step pictures and video on how to roll the kachori. 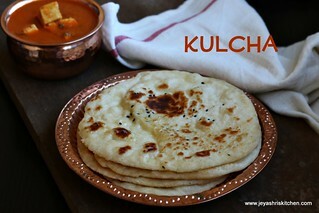 Kachoris are popular Indian snack recipes, made with different fillings. Kachoris can either be sweet or spicy. I leant to make perfect flaky kachoris from my friends here in Singapore. After moving here, we started celebrating Holi. 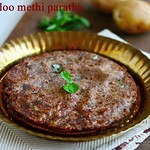 We have a huge group of North Indian friends and from them i learnt the dishes they make for Holi. 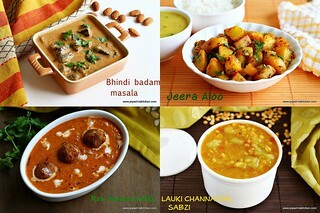 Kachori is one among them and i have already posted Dal kachori, dry fruits kachori and peas kachori. 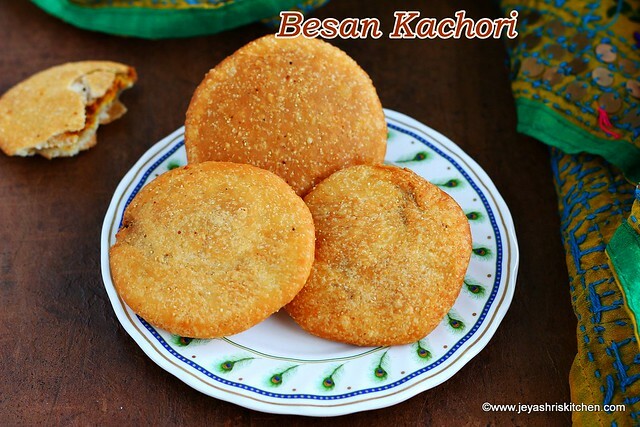 Actually this time i wanted to post some sweet recipe for holi, but a friend told me about this no onion no garlic Besan Kachori .I referred the filling for the kachori from here and my dal kachori outer dough,is a keeper recipe. First let's make the outer cover. Combine the plain flour, rava,hot ghee and salt in a wide bowl. 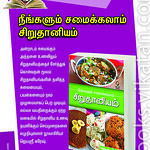 Mix this well with your fingers and make this flour mixture as bread crumbs. Sprinkle little water and make this into a smooth stiff dough. Cover this with a damp cloth. Let's make the filling now. 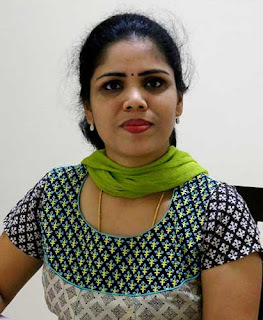 In a pan add the besan|kadalai maavu. Dry roast this in a low flame till the raw smell of the besan completely goes off. Be careful not to burnt it. 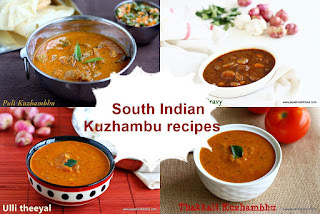 Switch off the flame and add the red chili powder,garam masala,turmeric powder, salt, sugar and fennel powder. 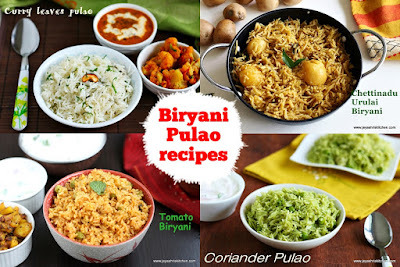 Add finely chopped coriander leaves or mint leaves,if adding. 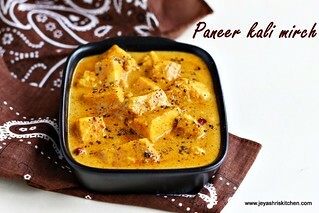 In a small pan add the 2 tsp and add the asafoetida. Add this to the besan spice mixture. Mix well. The mixture should now hold when you take in your hands. If it is still dry,sprinkle few drops of water and make sure to reach that consistency. Do not make it a paste. When it is hot,keep the flame very low. Dip the dough ball in hot oil. Slightly roll this and make this into a small disc. Put 1 tblsp of besan mixture on this. If not covered properly,the filling will come out while deep frying. Flatten this slightly with your fingers. Alternatively you can roll this slightly using a rolling pin. If using rolling pin,do not overdo. Always keep this covered to avoid drying. Drop the rolled kachoris into oil and cook this in a medium low flame. Frying them in a medium low flame makes it very crispy. Do not fry in high flame. Once both the kachori becomes golden brown on both sides,take this out from hot oil. Drain the excess oil in kitchen towels. Repeat this for the rest of the rolled kachoris. This kachoris will remain crisp if stored in a air tight containers. 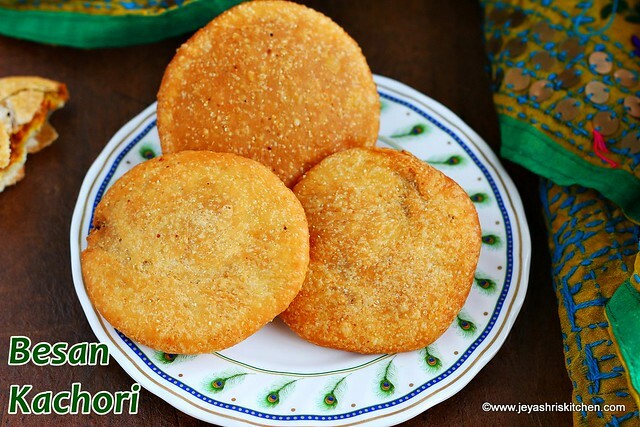 Serve this kachori with sweet chutney or green chutney. Once the kachori becomes golden brown on both sides,take this out from hot oil. Ensure that the besan mixture is nicely roasted. Do not make the dough too tight or too loose. 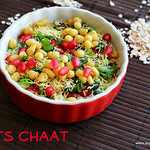 Instead of fennel powder you can add chaat masala too. You can make besan kachori one day before and serve it the next day.